NASA Took A Snap Of ‘Empty’ Space – But Nothing Could Have Prepared Them For THIS! 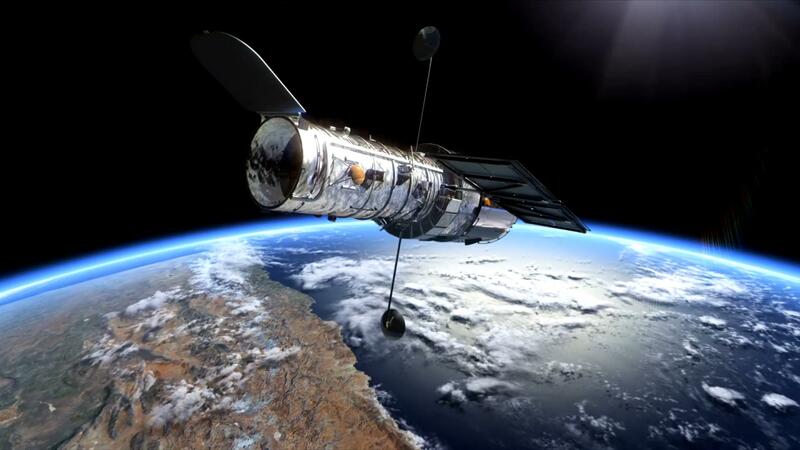 AN off- the- cuff experiment by NASA scientists to point the Hubble Telescope at an apparently empty point in the cosmos and take a picture ended up changing astronomers’ understanding of the universe. Telescope time is so expensive that astronomers usually know exactly what star or planet they are investigating. But as an experiment NASA pointed its Hubble Telescope at a void in space which changed and provided one of the most iconic images of the cosmos. At the time, NASA was struggling with the Hubble Telescope which was deemed a failure as it had only provided blurry images for its first five years due to a flaw in one of the mirrors – the mirrors are used to take extremely long distance pictures. However, astronauts spent three days on the satellite orbiting Earth to rectify the problem, and when they did, NASA had something to prove. 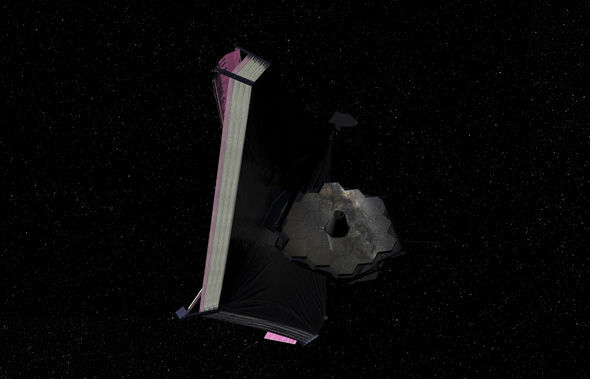 To test the new equipment, Robert Williams, former director of the Space Telescope Science Institute, decided to point the telescope at nothing. However, what came back was a stunning image which gave the world an unprecedented view into the entire history of the universe. The image is now known as the Hubble Deep Field and is more than 12 billion lightyears deep. A lightyear is measured by how long it takes for light to travel in a year moving at 186,000 miles per second. 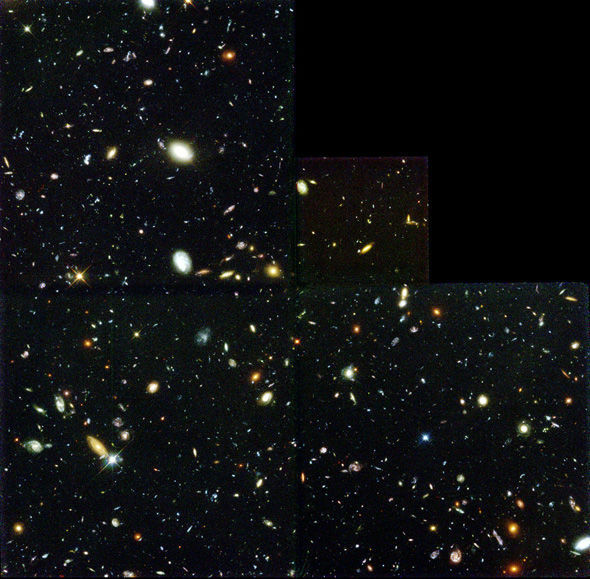 So what the Hubble Deep Field ( HDF ) image shows in the distance is how the universe looked 12 billion years ago. AWESOME, RIGHT! .... I know. In the forefront of the image, minus a few stars which were in view, there are the galaxies which have formed over billions of years. But in the background are irregularly shaped infant galaxies which are just beginning to take shape, so close to the dawn of time 13.8 billion years ago. Mr Williams added: "We didn’t know what was there, and that was the whole purpose of the observation, basically — to get a core sample of the universe. "You do the same thing if you're trying to understand the geology of the Earth: Pick some typical spot to drill down to try to understand exactly what the various layers of the Earth are and what they mean in terms of its geologic history."